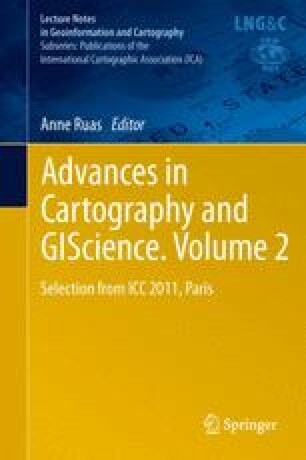 A numerical model using the concept of multidimensional scaling, generalized to distances and directions measured on the surface of the Earth, is presented and tested, with the objective of simulating the main geometric features of early nautical charts. Starting with a sample of points defined by their latitudes and longitudes, the process consists in rearranging their positions in a plane so that the differences between the initial (spherical) and final (planar) distances and directions between them are minimized. The geometry of the Cantino planisphere (1502) is simulated and the output is compared with the geographic grid implicit to the original chart, with satisfactory results. The model proved to be an effective and easy-to-use research tool and may be used, not only for simulating and assessing the various factors affecting the geometry of early nautical charts, but also for educational purposes e.g. illustrating the properties of map projections.